Last weekend 28th-30th September the European Functional Flame Off took place in London. 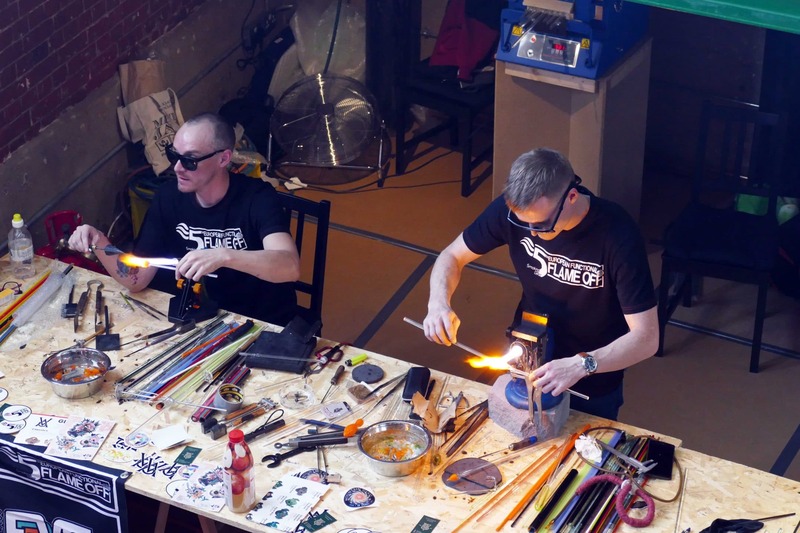 Now in its 5th year, the EFFO brings glass artists together from across Europe (and beyond) to compete in a 2-day head-to-head competition followed by a prize ceremony. 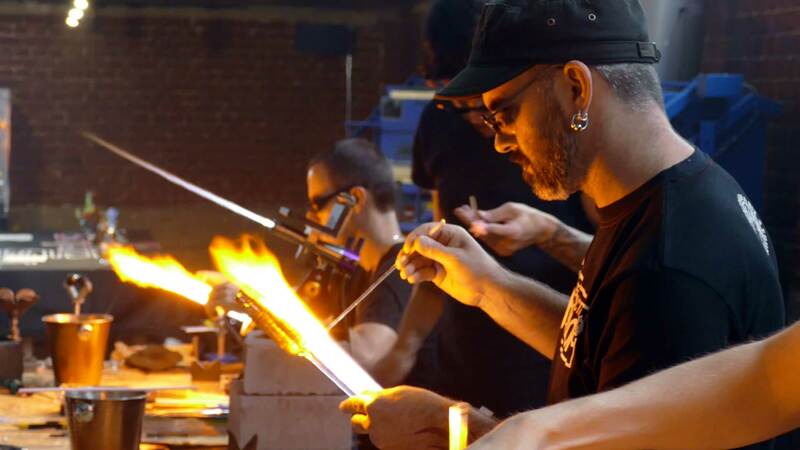 The artists competing in this year’s European Flame Off were some of Europe’s best glassblowers: Glashus (Switzerland), Fedex Glass (Italy), Heliox Glass (Spain), Hive Glass (UK), Mellow Glass (UK), Dok Glass (UK), Glass Haze (UK), Jamsolo Glassworks (UK), VIT (Russia) and EVS (Russia) all competed, pushing themselves to create some of their best work to date under time constraints and in full view of inquisitive spectators which included glassblowers, avid collectors and people from many Countries who had flown to London for the event. This was the competition’s first year taking place in the UK, with the previous flame off held in Barcelona last year. 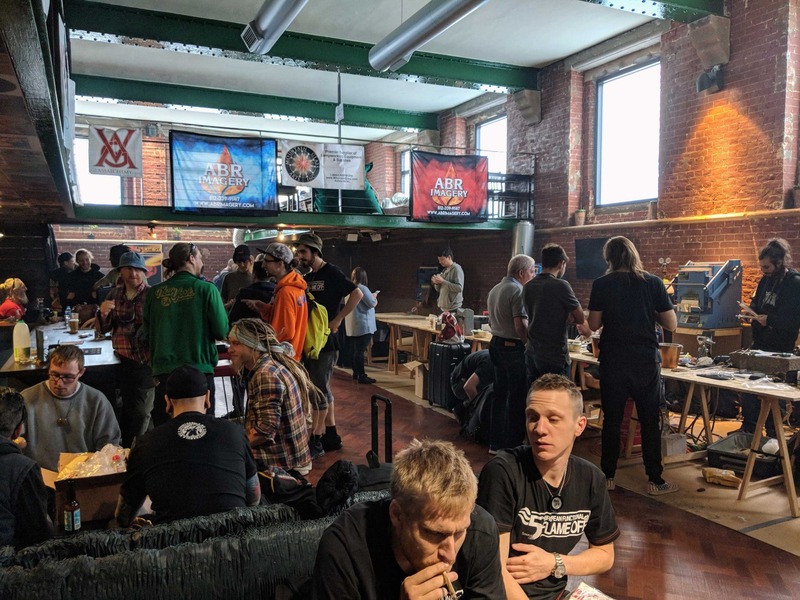 Speaking to Lars from Smoking Gear, organiser of the event, he said he likes the Nomadic feel of setting up in a city in Europe to bring together the glassblowers and spectators that attend the flame off. 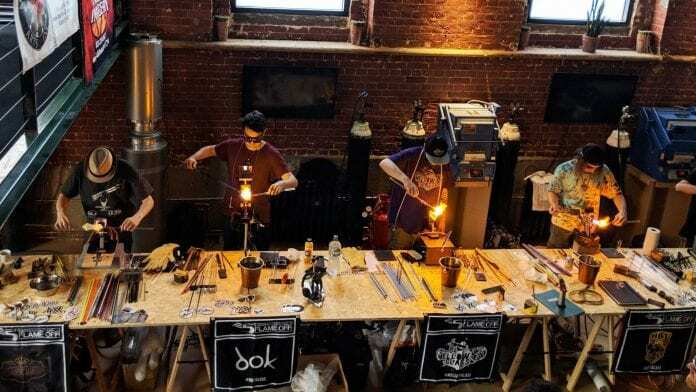 Attending for all three days, I was impressed with the organisation of the competition as well as the serious level of skill shown by each of the competitors as they battled it out to make the best glass piece. 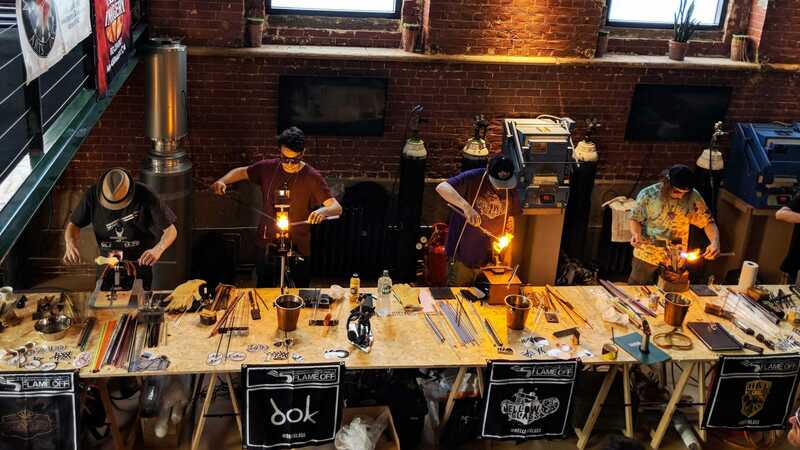 There various glassblowing techniques on display throughout the weekend, and the finished products showed a very high leve of skill and dedication. 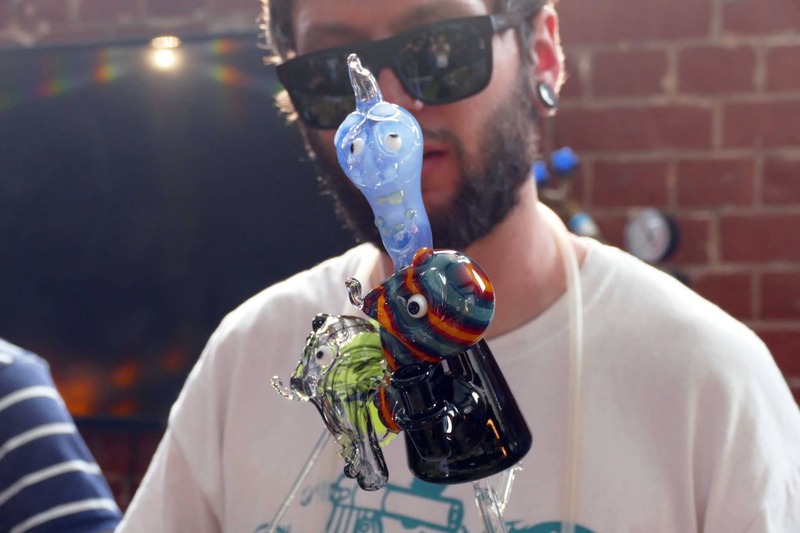 There were two categories to the flame off this year – judge’s choice, and people’s choice. The judges this year also gave masterclasses on day 3 of the EFFO which gave the glass artists in attendance a great insight into the workings of Dosh, Hoobs and Jop, with Stoney Bvloney also giving a demo creating one of his unique traveller pieces. The Flame off took place in a new vibrant event space in the heart of the City. Having 10 torches on the go in a regular building, there were some challenges with ventilation, particularly on day one when a lack of adequate ventilation left people feeling heavy-chested. This was solved with additional ventilation installed for days 2 and 3 which made the environment much better for both artists and spectators. 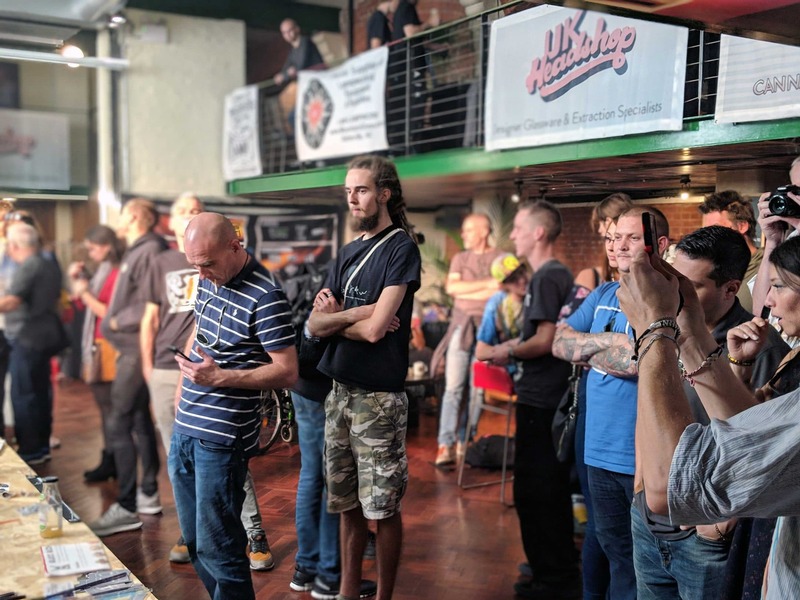 Guests were in attendance from across Europe, and we had some good conversations throughout the weekend with spectators and artists from UK, Spain, Italy, Russia, Switzerland, Austria and more. Much of this footage will be shown in part 3 of our EFFO 2018 video! 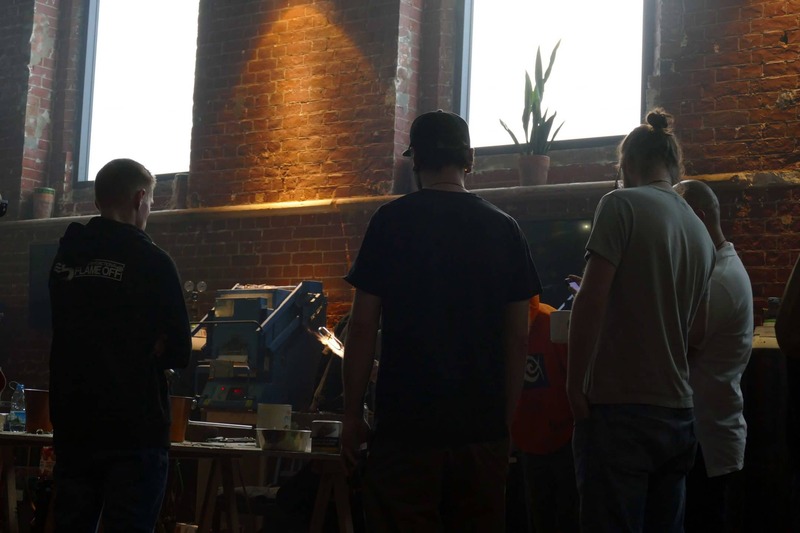 Day 1 kicked off the competition, with the artists beginning working on their entries from 12pm. I spent the day getting to know some of the artists I was less familiar with, as well as getting footage from each artist as they got to work. 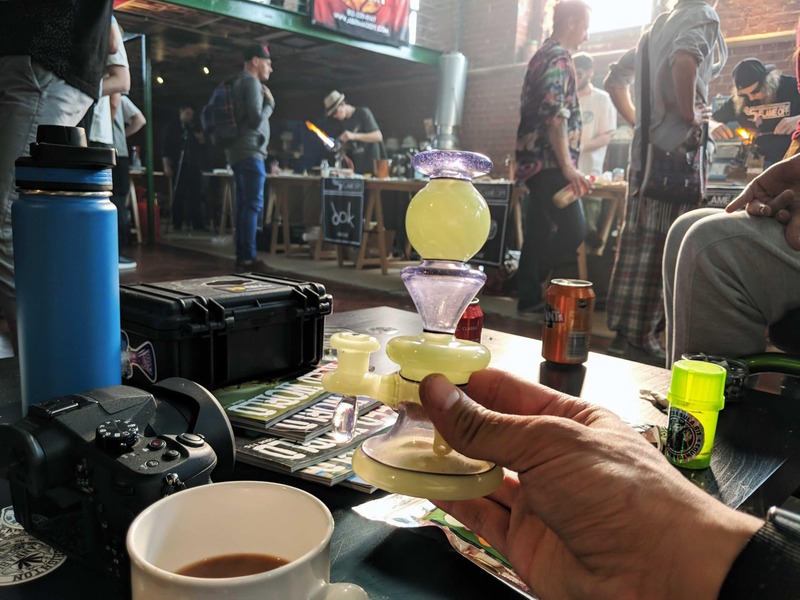 I brought my Chuck B Glass rig with me for day 1, which came in handy for the session with Brighton Cannabis Club, UK Headshop and some of London Cannabis Club. 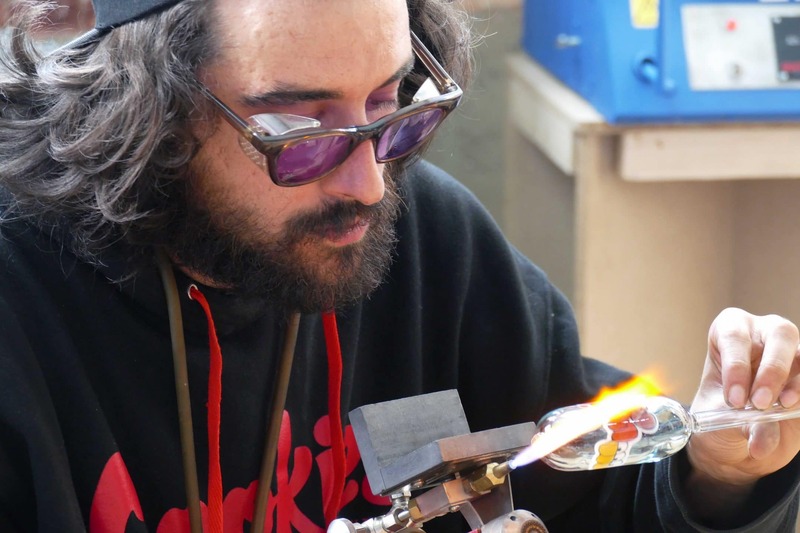 Throughout the day everybody looked incredibly focused as they began work on different sections, attachments, cans etc on their functional glass pieces. There were not as many heady shots throughout this day because it was the beginning of the work process, but I got my first glimpses of various beginnings of sections from the competitors. 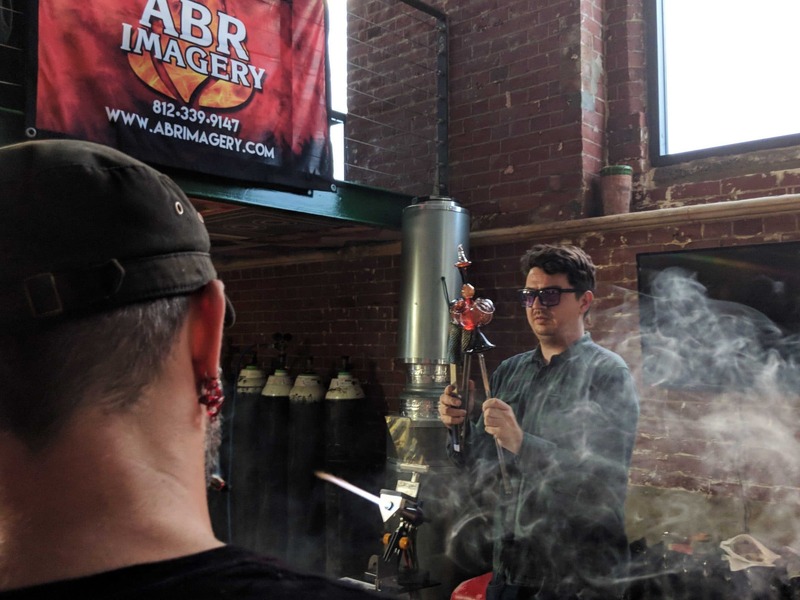 Day 2 was the artists’ last chance to finish their pieces, and this meant even more pressure for the competing glassblowers. Cue even less interview footage than from day 1, as we left the artists to focus on their potentially competition-winning pieces. 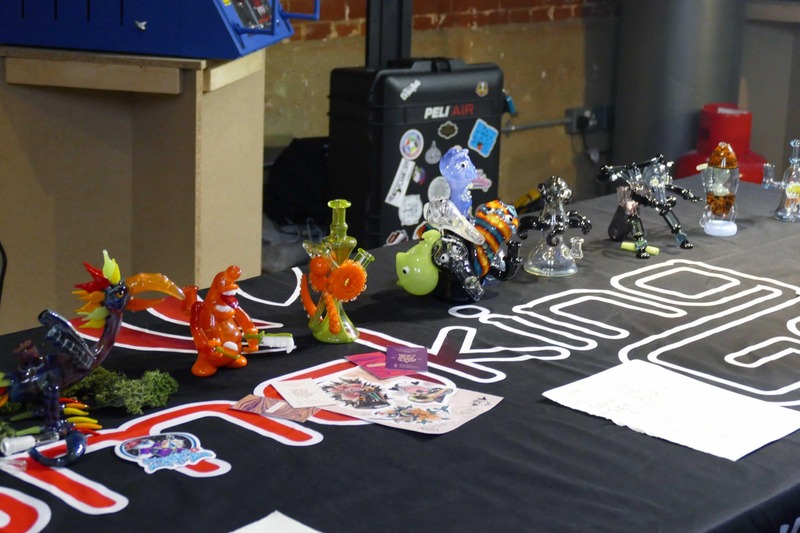 I had my Glass Haze purple lollypop and yoshi rig with me for day 2 and sessioned with Count Dabula Clothing and some of the Dead Fox Collective. Last thing on Day 2 all the finished pieces went into the kiln ready to be displayed on day 3 of the EFFO. Day 3 kicked off around the same time, with all 10 pieces being displayed in a lineup for spectators and judges to judge throughout the day. 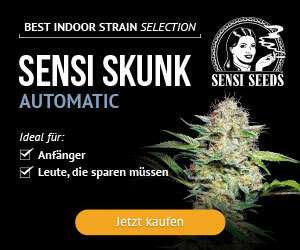 We were given one vote each, with the awards announced later on in the afternoon/early evening. 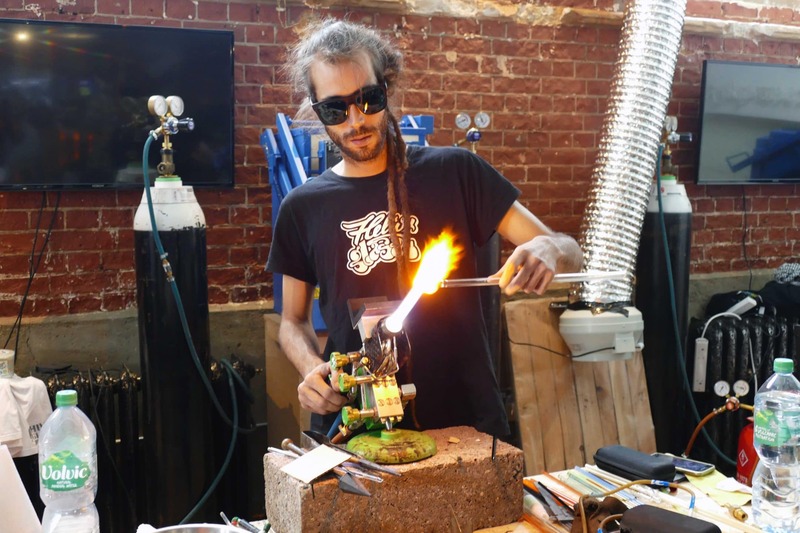 It was nice to see the glass artists a little more relaxed throughout day 3, as they had already finished the pieces they had set out to create, and could now enjoy the last hours of the event. 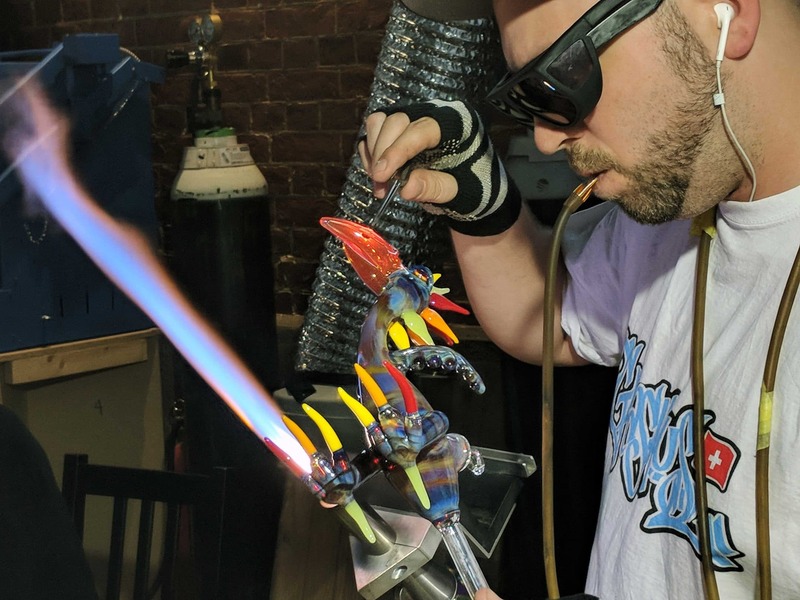 I took my Mellow Glass Fume-scratched cone rig to day 3 of the Flame Off, perfect for a session with Stoney Bvloney, Chudda Brothers, the 78 Glass Studio and Burtango amongst many others! 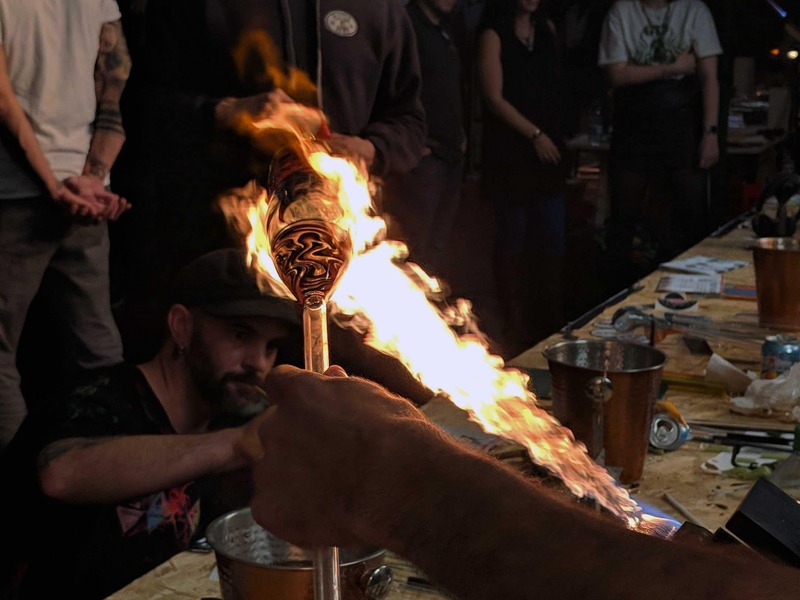 And that was it for this year’s 5th Annual European Functional Flame Off hosted by Smoking Gear. I had a thoroughly enjoyable (and very busy) weekend filming, taking photos, learning about glass and meeting lots of new people. Whether you attended or not, I hope you enjoy catching up with the event over on the ISMOKE YouTube channel. We look forward to EFFO 2019.